Breaking Games’ Rise of Tribes is a great game of territory control and resource management. 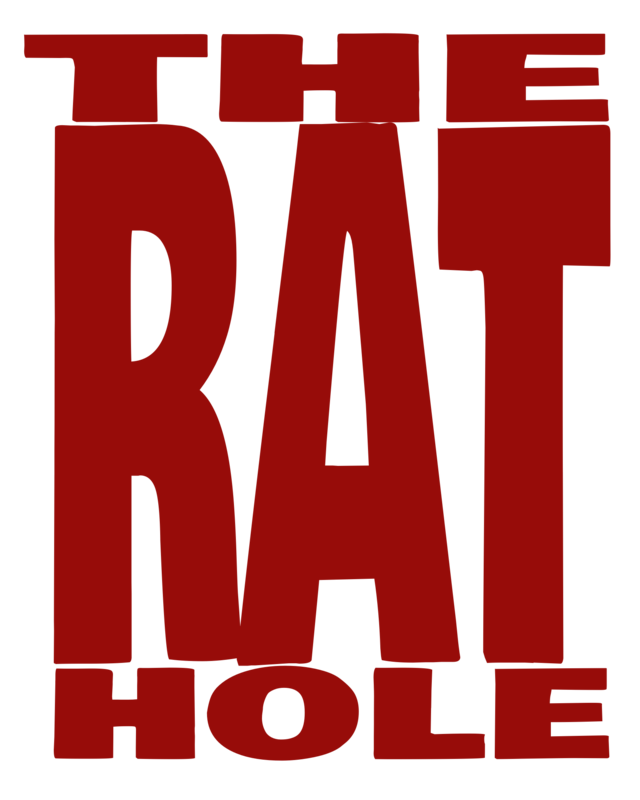 The premise is simple each player controls a prehistoric, nomadic, tribe of people. 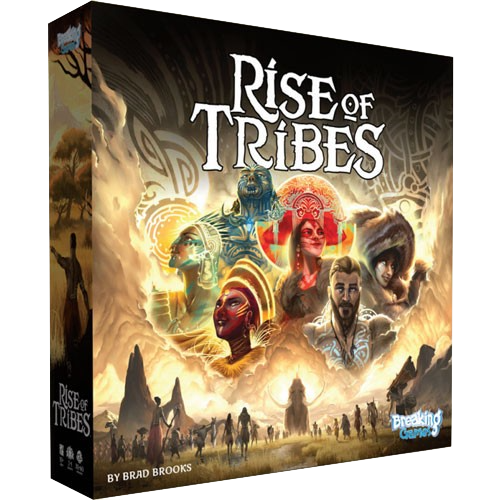 Has their tribe grows they will gather resources, fight with other tribes, build villages, all in an attempt to achieve what every tribe wants… 15 points to win the game. In the basic game, setup consists of creating a map out of hex tiles, each representing one of three types of resources. The number of tiles, and the layout of tiles, are varied based on the number of players keeping things balanced and ensuring a certain amount of potential conflict. Each player may choose to take two of the four possible actions on their turn. What is fascinating is that the outcome of those actions is affected by the choices of all the players, and by a little luck. The four possible actions are Grow (add tribe members to the board), Move (members of your tribe can travel to an adjacent tile), Gather (gain resources), and Lead (draw goal cards). Each of those actions has a line of three dice assigned to it. Before choosing their actions a player rolls two more dice, to take an action they will add one of their dice to the left of that actions dice, removing the existing one on the right. The resulting combination of dice will determine how the action resolves. If at least two Sun icons are showing, civilization is booming and the action yields a better result; if two Moons are showing it yields a poorer result, and if a Sun Moon and Blank are showing it yields an average result. A player never gets nothing, and while a player’s choice may impact the next player it’s impossible to guarantee a poor result for them without also taking the same poor result yourself (by adding a third Moon, taking the poor result and ensuring the next player to take that action will still have two Moons showing). Points are earned in one of two ways: building and maintaining Villages, and Goal cards. At the start of a player’s turn, they gain one point for every Village they control. If a Village ends any turn without a member of the controlling tribe on its tile, it is removed from the board. An opponent can’t take over another Village, only eradicate the villagers through conflict thus removing it. Goal cards are drawn by the Lead action, and score points when completed. Blue Development Goals require resources to achieve and then give that player access to extra abilities. Brown Achievement Goals are completed by controlling specific sets of territories, or other specific actions. Achievement Goals generally award more points than Development Goals but have no lasting effects. The first player to reach 15 points immediately wins. Once you get the hang of the basic game there are a number of Advanced Rules you can integrate. These include special land tiles with unique effects, Tribal Elders that can use other player’s Developments but give points if killed, and Leaders that give every player a choice of individual abilities. To be completely honest, we had such fun with the basic game that I haven’t even tried these variations yet. Who knows, they may be worth a whole separate review down the road. The look and feel of the components in the game are above average by any scale, but it’s the little details that really shine. Each of the four tribes isn’t just a different colour, but their meeple slightly different as well (red meeple are holding a spear while yellow has a pot). The detail in the packaging is amazing. there’s a compartment that keeps all the advanced components separated, there’s a cardboard “lid” inside that holds the larger components in place, effectively sealing in the well that holds the loose tokens. I’m intentionally not gentle when I transport my games and all that escaped was two tokens, and they were still safely contained under the cardboard inner-lid. There were a few moments in which it seems like there would be a runaway victory, but within a few rounds the tides turned and the final score was impressively tight. I generally territory control games and Rise of Tribes does it exceptionally well.